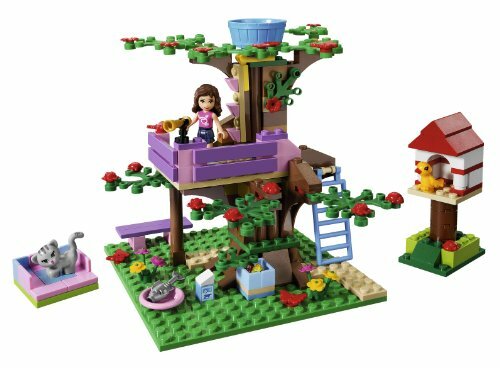 Head for the treetops for tons of fun in Olivia's Tree House, exactly where LEGO Friends can stare at the stars, hide treasures, and camp out all night. 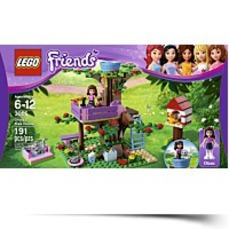 Olivia's Tree HouseAges: 6 to 12 yearsPieces: 191 LEGO elementsAt a Glance:Tree house building set with colorful LEGO bricksMovable pieces let kids decorate, rearrange, or rebuild with easeRealistic accessories add to the funIncludes 1 mini-doll figure and 2 adorable animal palsMini-doll figure is compatible with other LEGO Friends' sets This building set comes with plenty of tree property accessories, as appropriately as an adorable mini-doll figure named Olivia. Kids aged 6 to 12 years will love building, decorating, and rearranging the set, providing hours of treetop adventures. The fun starts with building and decorating Olivia's Tree House. With the support of friends, parents, or on your own, you'll have a blast seeing your progress as you develop up this colorful arboreal scene. And, with 191 pieces, the build is fast. 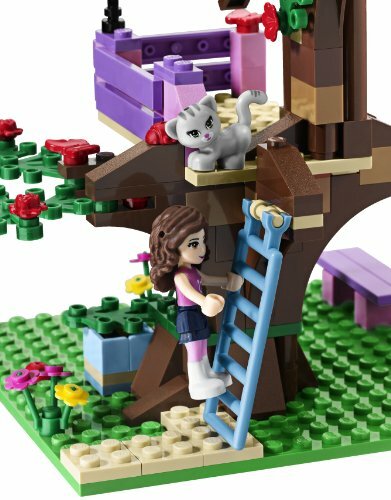 The tree house set comes with one particular LEGO mini-doll figure of Olivia. She loves observing the stars and surroundings through her telescope and generating improvements to her tree house. LEGO mini-dolls are produced specifically for the globe of LEGO Friends with many hair and fashion combinations to choose from. Detailed Accessories and Layout Also, she likes to invite her other LEGO buddies over to play. Olivia is really a curious and inventive girl. Olivia's Tree House gives plenty of play areas for Olivia and her friends. 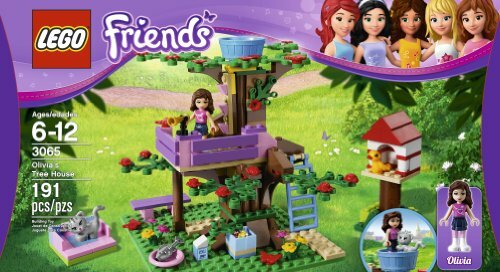 Animal Pals Add to the Fun The tree house sits above a lovely garden that you can decorate generating use of the included flowers and butterflies. There might be a folding ladder that leads up to the tree residence that you can pull up behind you. The tree house has a main floor, and even has a cool crow's nest at the best for a bird's-eye view of your surroundings. Package Dim. : Height: 2.4" Length: 13.7" Width: 7.4"